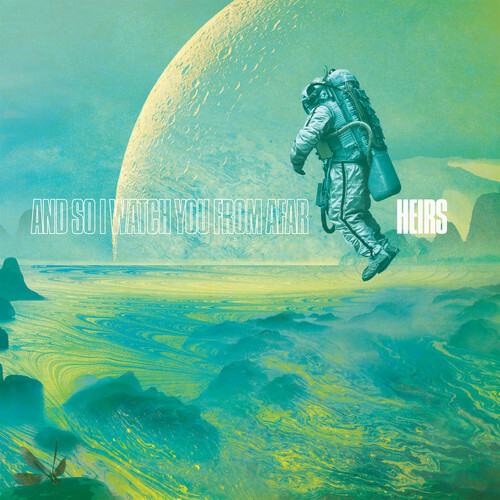 Today Northern Irish math rockers And So I Watch You From Afar (ASIWYFA) have announced their return with their new forthcoming album ‘Heirs’. This will be the eclectic quartet’s fourth full length album following on from their widely acclaimed album ‘All Hail Bright Futures’. ASIWYFA have applied to their forthcoming new album ‘Heirs’ the same rigorous work ethic that has seen them touring nearly non-stop all over the world in recent years. ‘Heirs’ is both the band’s most painstakingly created album as well as its most personal and meaningful: a central theme about the inheritance of ideas, in that we’re all ‘Heirs’ to other peoples’ passion which in turn inspires ourselves. Many new lives, new imperatives and invigorated perspectives helped shape the 10-song album borne of over 30 tracks written in prolific isolation over 6 months in the band’s Belfast, Northern Ireland home. It’s a work of deep focus and adventurous abandon that reaches to the heart of artistic expression. In support of their forthcoming album, ASIWYFA have also announced a 31-date tour (dates below) to start this spring with label partners Mylets, covering the UK, and much of Europe. ASIWYFA have a relentless thirst for touring and over the past 5-years they have tallied up almost 500 shows worldwide – including less common tour stops such as China, Russia, Ukraine and Belarus. This tour will see the band play 4 UK shows in Glasgow, Manchester, Bristol and London before heading to Europe. ‘Heirs’ is due out on 4th May 2015 and will be released via Sargent House (home to the likes of Russian Circles, Boris, Chelsea Wolfe, and Tera Melos).